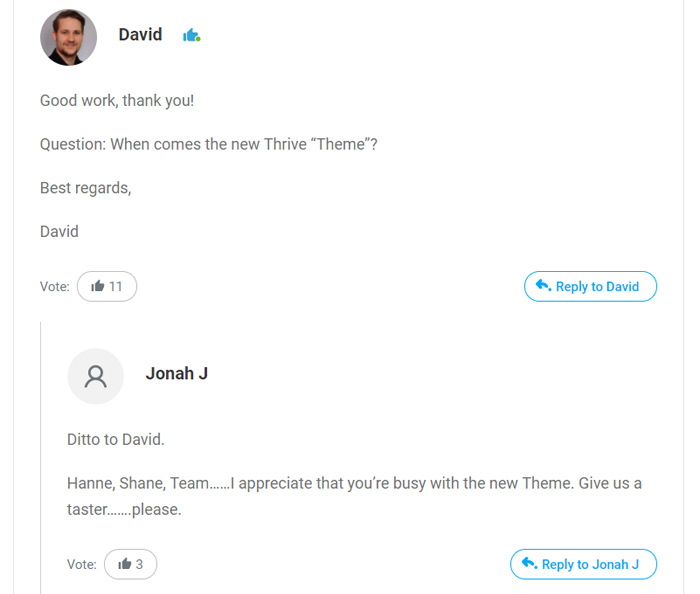 What Is the Thrive Comments Plugin All About? The Thrive Comments Plugin is a plugin that is said to ‘turn the most overlooked feature on your website into your most valuable asset.’ The idea behind this plugin is pretty easy to understand. Most WordPress websites have at least one ‘comments’ section on their site, and for good reason. This is where the open-community portion of your site is supposed to grow and flourish. It is where your visitors and customers can leave valuable feedback, interact with you (and one-another) on your site, and share information that will make your site even more valuable for other users. 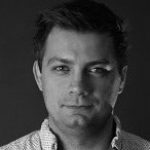 And while a lot of websites try to maintain and moderate their comments section, they often fail to hit the mark… and it is not surprising why. Many website administrators these days either fail to understand how important the comment section is, or they lack the time, resources, and manpower to keep up with it as much as they could. And to add to this, most comment plugins just don’t really deliver the types of tools that you would need to properly manage this task anyway. A huge, disappointing waste of opportunity. The online world has grown accustomed to reward-based internet activity. They share pictures and posts on social media, and start getting likes and comments almost instantly. They play games and level up, earn loot crates, and get an interactive experience that grows with them. Most social networking sites nowadays reward people for posting and interacting. So what is your website doing? Most websites do not respond to comments with the maximum potential for opportunity in mind. In fact, most of them don’t even have the tools available to them to do so! But that is what the Thrive Comments Plugin was designed for. 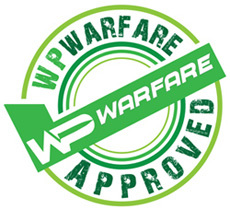 According to the official Thrive website, this plugin has ‘collected all the most addictive elements of social media and community forums and added them to your WordPress comments.’ This is said to create an ‘irresistible’ effect that will keep your users interacting on your site—and it includes enough of a toolkit to allow you to truly maximize the potential of this often wasted website resource. The functionality of this plugin is amazing. It essentially brings all of the power of what makes social media popular right to the comments section of your website. 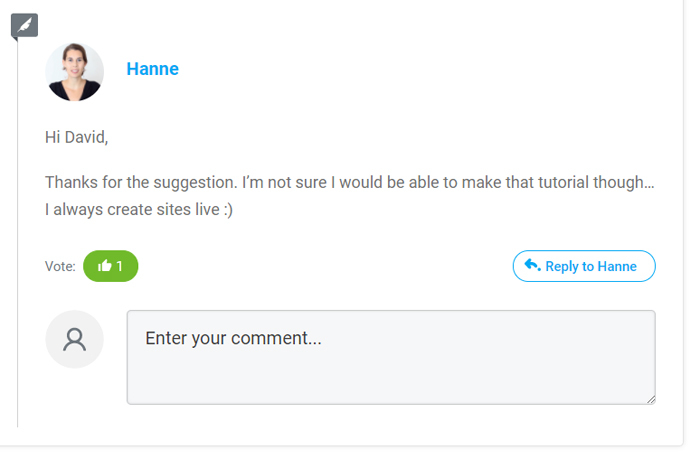 Thrive actually designed this plugin to meet their own comment-moderation needs on their own blog. They get as many as 600 comments per blog post, and desperately needed a better way to manage them. The good news is that every single comment left on your site is a huge opportunity. But all-too-often, comment plugins give you no options for making the most of these opportunities… other than to allow you to simply respond. You can’t upvote or downvote… other users cannot ‘like’ them… you cannot easily direct commenters to a new page or share URLs easily or effortlessly… or any of the other things that you can easily do with social media. This is where Thrive Comments really stands out… and you will truly be amazed at how easy all of this is to manage from the back-side of your site. Here are some of the main features that you can expect to find while using the Thrive Comments Plugin. Assign individual comments to specific members of your team, so that the most relevant people can deal with questions, concerns, queries, etc. Some people use the Yoast Comment Hacks free plugin to do some of the things that this plugin can do… but in all honesty, Yoast is a lot more limited. It is a free plugin, and if you have ever used it, you will likely appreciate what it has brought to the WordPress comment plugin market… but you will quickly see that Thrive Comments boasts incredible advantages over pretty much every other comment plugin out there. There are a ton of WordPress comment plugins in the marketplace that help to remove spam and integrate social media. These are not necessarily new concepts, and there are quite a few plugins out there that do them quite well. But where most of these other comment plugins fail, Thrive Comments really picks up the ball. 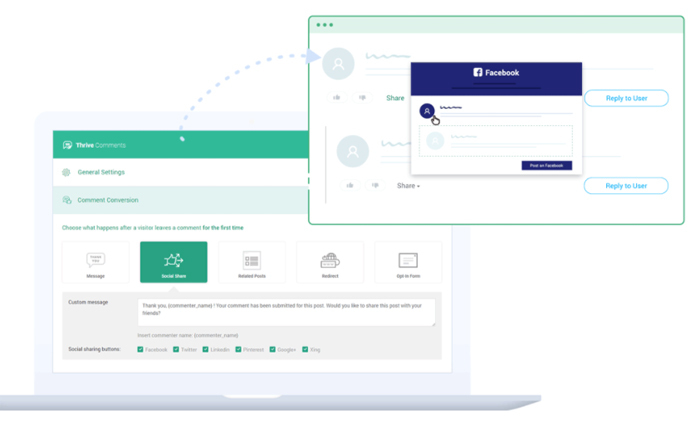 For example… Thrive Comments was specifically designed to not only encourage commenters to interact more, but was also specially designed to help you convert comments into other types of traffic. Whether you want to prompt your commenters to share on social media, show them additional posts, or give them access to exclusive content, you will be able to use this plugin to not just generate more traffic, but also to generate leads. This is not something that other comment plugins are really focusing on right now. At the very least, they are not doing it as well as Thrive is (in our opinion). In fact, a lot of people are calling Thrive Comments the best WordPress comments plugin of 2018… and we can’t find a reason to disagree with that. One of the best aspects of Thrive Comments is that you can use it to generate more leads for your website/business. And to be super honest, this is where the plugin really excels. 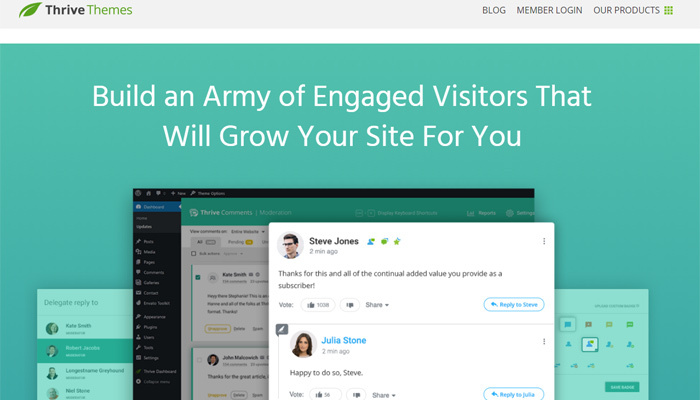 With this plugin, you can literally build a community within your comments section that will foster a much more flexible and rewarding environment for your visitors. It will also give your commenters reasons to continue the conversation… but that isn’t all. You can make the comment process even less difficult for your visitors by easily disabling the traditional email and site-ID system. Plus, users can even leave comments on your site with their social media accounts without being forced to login… which is awesome. The moderation of comments is really streamlined with this plugin… but the lead-generation is the part that really sets it apart. Allowing you to redirect commenters to another page of your choice. This could be a landing page, or even a ‘welcome’ page that encourages them to sign in, sign up, join, or learn more about your business. Thrive Comments improves the user experience in a number of different ways. It makes the commenting/interaction process more engaging and fun, for one. It also gives commenters the ability to interact with each other using an array of different social-media-style tools, and makes it super easy to share their comments (or the comments left by others) on other social media networks. This makes the interaction process not just more engaging, but also gives the comment section of your site that dynamic social-media feel that it desperately needs to appeal to the modern blog reader/website visitor. Customers and web visitors are simply accustomed to being engaged more than they used to be. Social media has really stepped up its game in this area, while blog comment sections have stayed old-fashioned and stale. So Thrive Comments gives you the ability to bring your comments section into the future. These are just examples of tools that will help you to interact with your customers in better and more progressive ways. When it comes to pricing, you will notice that Thrive Comments offers three different packages. You obviously get more bang for your buck with the larger packs, but the pricing is still pretty affordable, even for a smaller WordPress website. 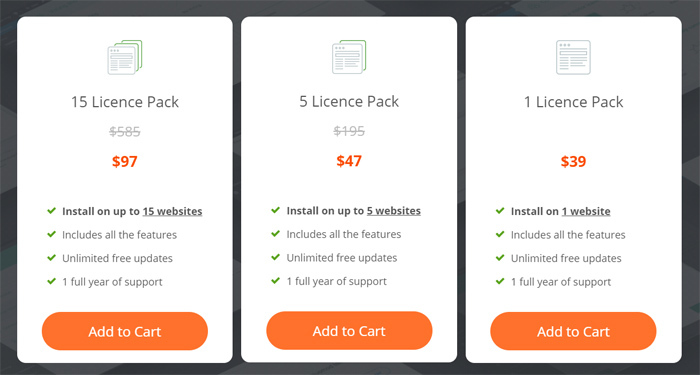 Each one of these includes a number of installs equal to the number of licenses you get, all of the plugin features, unlimited free updates, and 1 full year of support. 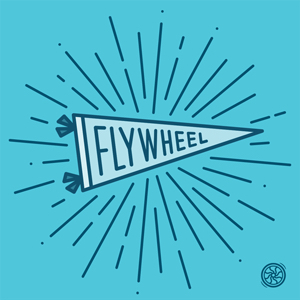 Each package comes with 1 full year of support, which is pretty awesome. Plus, you get a 30 day money back guarantee with Thrive Comments that will pretty much guarantee that you will be able to get a full refund if you end up not liking it. As for the actual quality of the support, most reviewers and customers agree that Thrive does a great job of responding to customer needs and complaints. You can generally expect replies to questions or problems within a matter of hours, which is pretty decent. Despite a few small cons that we found over the course of our research, it was difficult to find much fault with Thrive Comments. This is undoubtedly the fastest, most powerful, best-equipped WordPress comments plugin that we have ever seen. If you want something free, this is obviously not going to be your cup of tea. But if you want something that will revolutionize your options for interacting with commenters on your website, then this is most definitely going to be a plugin that you are going to want to take a look at. Thrive is very well known for delivering quality WordPress tools, and we are happy to report that Comments is an excellent addition to the family. Two thumbs up for this one! You will not believe how much of a difference it will make once you implement it and get it working. It is a tiny bit pricey if you only have 1 site that you want to license. But… the 30 day money back guarantee also really helps to mitigate any risk. Summary: If you are looking for an awesome comments plugin for your WordPress site that will literally transform the way you interact with your visitors, then we would seriously recommend that you look into Thrive Comments. 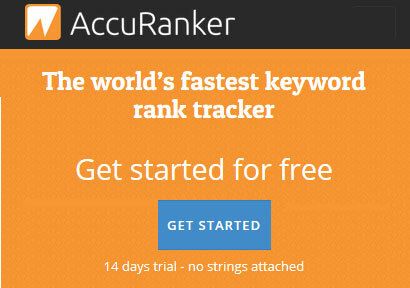 With so many tools and options at your disposal, you will literally not believe how much of a difference this plugin could make… especially if you already get comments and would like to maximize the opportunity offered by each one.